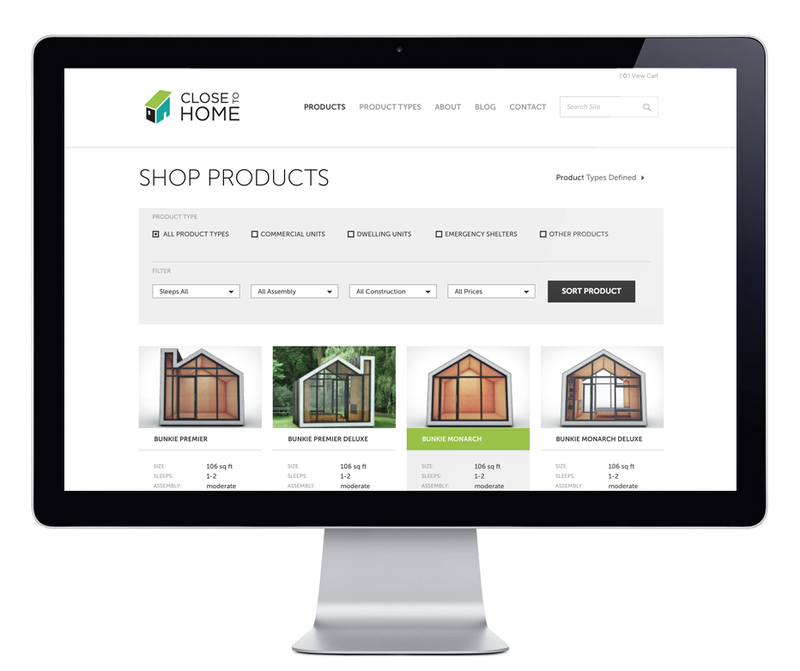 Close to Home came to me with a mission to create an online marketplace that would help post-disaster communities to find cost-efficient, sustainable and innovative housing solutions. We worked together to determine naming, messaging and better define their business plan. Once we solidified the strategy, site-map and overall user experience, I created the brand look and feel including the logo, typography, iconography, color palette and photography style. I worked closely with a WordPress developer, who built the site from scratch according to my wireframes and supplied psds and assets. The site is fully responsive and is a great showcase for the Close to Home brand as well as the innovative product that they sell.